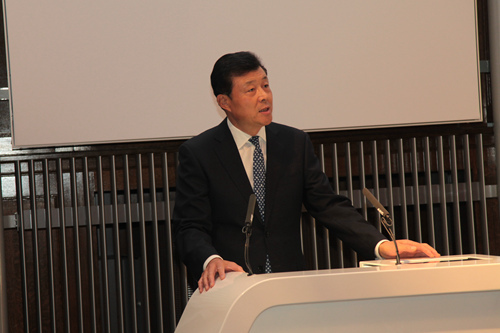 On 21 November 2014, Chinese Ambassador Liu Xiaoming attended the Forum on Forty Years of China-UK Student Exchange jointly held by Chinese Embassy and British Council at the Institution of Mechanical Engineers. 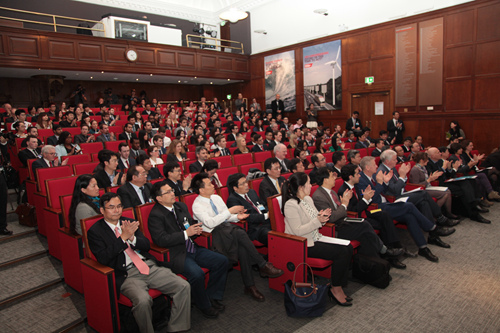 Around 200 guests were present, including Chief Executive of British Council Sir Martin Davidson KCMG, presidents and vice-presidents of 19 renowned Chinese universities, presidents and experts from more than 50 British universities, presidents of Confucius Institutes from both sides, Chinese students in the UK, representatives of British graduates in China, international educational institutions and service agencies. In his speech, Ambassador Liu pointed out that since the establishment of diplomatic relations at the ambassadorial level between China and the UK in 1970s, bilateral educational cooperation had grown on an unprecedented scale. These forty years of flourishing and fruitful China-UK student exchange has been hugely rewarding and inspirational for both nations. There have been many mutual benefits. First of all, China-UK student exchange is built on a foundation of positive bilateral relations which sustains the student exchanges and drives its momentum. After 42 years, China and the UK have achieved a quantum leap in the bilateral relations. The ever-growing China-UK relationship provides an enabling environment for educational exchange to prosper. Secondly, a vast number of Chinese students who have studied in the UK have become the backbone in China’s social and economic development. Throughout the four decades, most Chinese students returned to China upon finishing their studies in the UK. They have become active participants in China’s reform, opening up and economic development. Equipped with what they have learned in Britain, these enterprising and innovative young people have gone on to excel and play an important role in a wide variety of areas such as politics, economy, diplomacy, education, and science and technology. Thirdly, student exchanges have greatly advanced people-to-people exchanges and built bridges and bonds between the Chinese and British people. For four decades, these students have brought out their talent, and served as a bridge for China-UK exchanges and cooperation in various fields and a driving force for the growth of bilateral ties. Moving forward, the Chinese Government will continue to encourage youth exchanges with other countries, send more students to study abroad, encourage and finance more foreign students, including UK students, to study in China. With joint efforts, China and the UK will harvest even richer fruit and write a more splendid chapter in student exchange in the next forty years. Sir Martin Davidson looked back at his experience in international educational exchanges and reviewed China-UK cooperation of student exchanges since 1975. 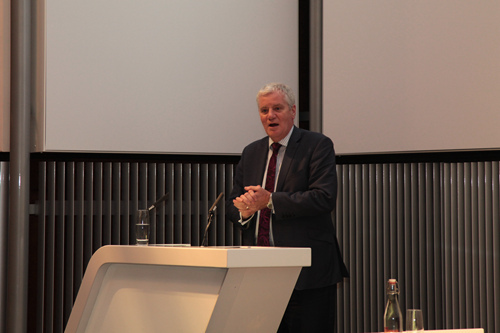 He shared his perspective on UK’s attracting international students and encouraging its own students to participate in international student exchange. Deng Yilin and Fuchsia Dunlop, representatives of overseas students from the two countries, and Professor Cui Xiliang from Beijing Language and Culture University talked about how overseas students overcome cultural shock and adapt to and integrate into the foreign culture, and the effects of such experience on their life and career development. Presidents of Chinese and British universities had lively discussions on topics including mobility trends, policies concerning international students, impact of movement of international students on regional economic development, improved employability, and development of social networking websites for international graduates. The organising committee put up a “China-UK Student Exchange Photo Exhibition” and a video show, to present the fruitful results of China-UK cultural and educational exchanges and how young people from the two countries are doing in their studies and everyday life living abroad. The Forum is another important cultural exchange programme jointly launched by China and the UK after the very successful second meeting of the China-UK High-Level People-to-People Dialogue in Beijing last April. It has contributed to a favorable environment for the two countries to strengthen cultural and educational exchanges.